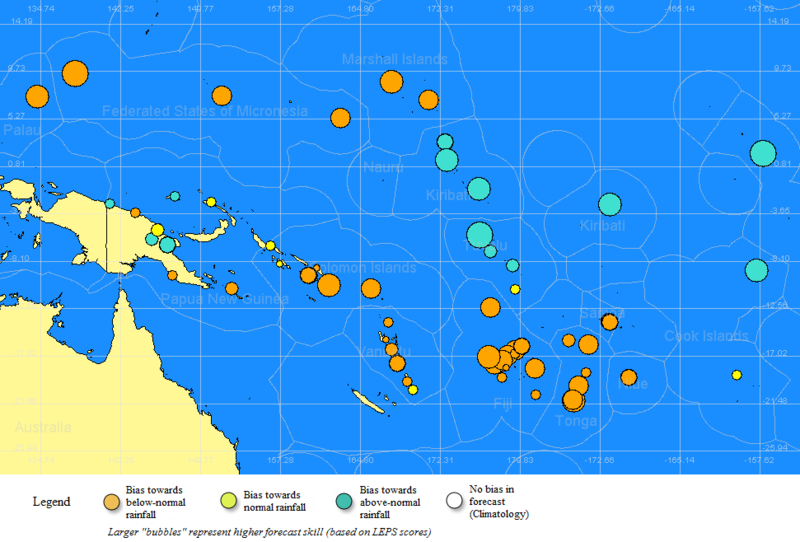 The Online Climate Outlook Forum provides a regular opportunity for Pacific Island Meteorological Services to discuss the status of the El Niño Southern Oscillation and to share their seasonal climate outlooks. This important monthly forum allows partners in eleven Pacific National Meteorological Services to discuss their current climate outlook, and possible implications for their countries. Participants are encouraged to raise questions about outlooks and about the SCOPIC tool. The OCOF also provides an opportunity for updates and feedback on the program.